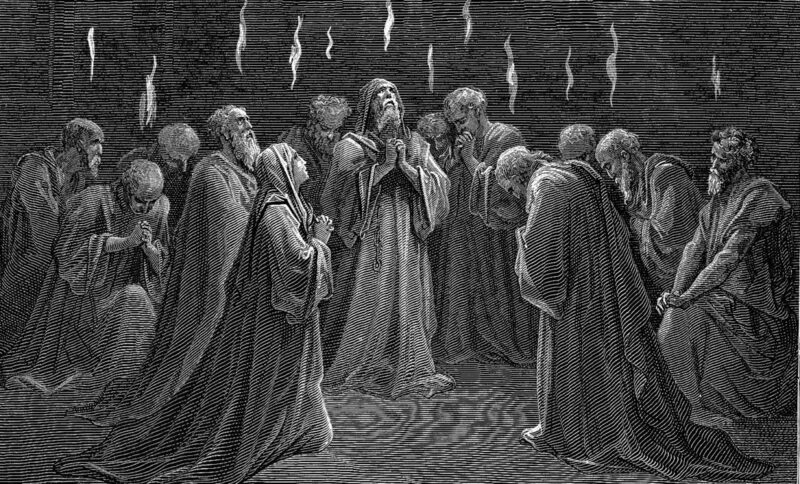 Luke’s account of Pentecost reveals three fundamental aspects of the Holy Spirit’s ministry: giving life, personal advocacy and bringing unity. Giving Life. The sound of rushing wind points to the Spirit as the life-giving “breath” of God in two ways: he gives life by restoring it (Ezekiel 37) and by creating new life (Gen 2:7). His ministry in us reflects these two things. He heals the wounds of sin that imprison us, by restoring our natural faculties; replacing ignorance with understanding, foolishness with wisdom, weakness with strength and compulsion with self-control. This sets us free to choose and do what is good. In addition the Holy Spirit grants to us a new kind of life, God’s life, so that we have intimacy with God, heavenly peace, joy and love, spiritual gifts and natural lives that are infused with divine goodness, truth and beauty. This experience of transformation becomes a motivation for sharing the Gospel. Personal Advocacy. The divided flames over each of the disciple’s heads point to the way the Spirit works in us individually. In contrast to the giving of the law at Sinai where God’s law was presented to the people en masse, and brought slavery, judgement and fear, the Spirit now writes God’s law on our hearts individually, bringing adoption and sonship. The Spirit deals with our sin individually and teach us to fulfill God’s law according to our own unique vocation. Because the Spirit works differently in each of us, we shouldn’t rely on narrow stereotypes of what a spiritual Christian is like, rather we should expect to find the Spirit working in diverse and unexpected ways in other Christians. However, our desire for the Holy Spirit makes a difference to how much we know his power in us. Since his work is to make us like Christ we should cultivate a desire for the love of Christ, and always be asking God for more of the Spirit. Bringing Unity. The apostles preaching in tongues is a sign that the curse of Babel is being reversed in the church. This shows that bringing unity is another aspect of the Spirit’s ministry. He overcomes our instinctive rejection of others and enables us to love people, he creates unity in the church and ultimately brings about the unity of all things in heaven and earth under the reign of Christ. Knowing this should help us to develop an instinct for when we are cooperating with or grieving the Spirit. The Spirit does not bring division between Christians as some have claimed. In the Church one of the ways we grieve the Spirit is to give up on relationships with other Christians. In contrast, one powerful way we can cooperate with him is by persevering in hope in our love for the brethren, seeking to deepen relationships even where difficulties exist.